Everything we do at Chandler Education Foundation is focused on the ultimate benefit to the students of Chandler Unified School District. Investing in our students is a commitment to our future, including supporting classroom needs, expanding opportunities, and funding lifelong learning. Chandler Education Foundation supports innovation in classrooms, committing grant money to take classroom experiences to the next level, engaging students in lessons that will leave a lasting impression and encourage students to want to learn even more. In 2017-2018, the Foundation allocated over $63,000 directly back to classrooms. IMPACT Chandler Scholars are dedicated, hard-working Chandler Unified School District high school students. They have committed to high academic achievement, consistent attendance throughout their high school career and to giving back at least 100 hours of community service. Scholarships are a significant part of the Foundation's work. 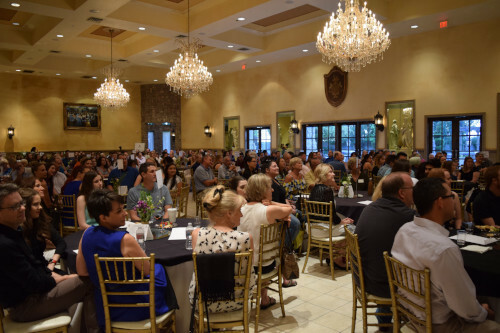 Both IMPACT Chandler Scholarships and Donor Scholarships are an annual part of CEF giving. Lifelong learning begins with a commitment to helping our alumni continue their success and advance their education. In 2017-2018, the Foundation awarded over $168,000 in scholarships, including IMPACT Chandler Scholarships and donor scholarships. When you give to our annual Cash for Classrooms campaign, you are investing in students, and investing in our future. The greatest impact we can make is to support our students as they make a difference in our community. Find out more about our Impact Scholars program. We offer scholarship opportunities through our IMPACT Chandler Scholars Program and through the generosity of private donors.